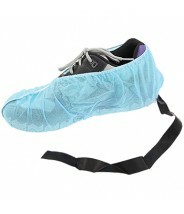 Polypropylene shoe covers are nonwoven, spun bond fabric—helps filter particulates. Covers are extra lightweight. For added safety, choose skid-free soles for improved traction. 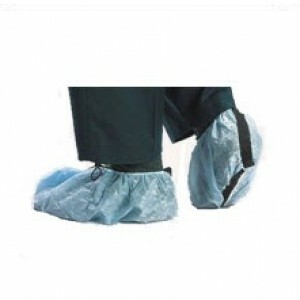 Advantage 1, Shoe Covers with Conductive Strips are an economical way to protect static sensitive devices in the work area. A full length non-woven conductive carbon strip is added to the bottom of our Shoe Covers: regular sole polypropylene, skid free polypropylene, and polylatex. The strip provides adequate length for body contact when worn with most shoe styles. Shoe covers are sixed in extra large for versatitlity. Applications Medical, dental, cleanroom, critical environment, food handling/production, industrial manufacturing, construction, and general maintenance.